Alum Chris Palenik combines high-powered microscopes and his U-M research background to help solve criminal cases. It’s not hard to imagine why Christopher S. Palenik (Ph.D. ’04) became fascinated with microscopes as a child. His father, Skip Palenik, is a renowned microscopy expert who maintained a full-fledged microscopy laboratory in the basement of the Palenik family home when Chris was growing up. Throughout Palenik’s childhood, houseguests included scientists from Scotland Yard, the Soviet Forensic Service, and crime laboratories across the United States. At dinner, Chris listened attentively to the stories the visitors told about solving crimes using microscopy. 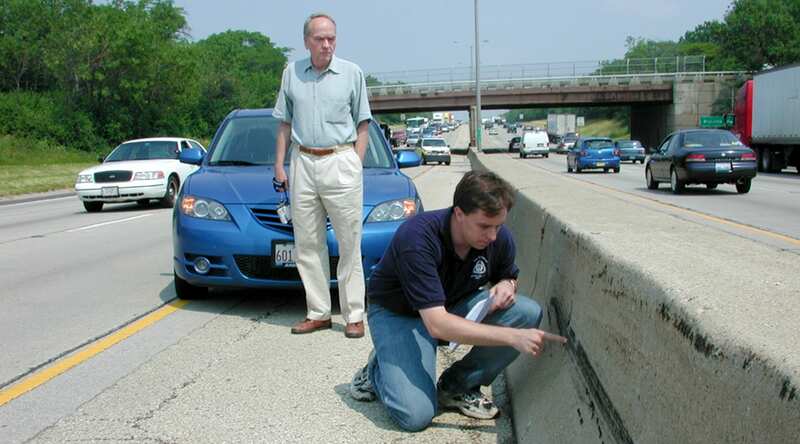 Palenik collecting samples from a car crash site along I-94 in Michigan. The state police shut down the side of the road so Palenik could collect the samples. By the time he was an undergraduate at the University of Chicago, he knew he wanted to follow in his father’s footsteps. This meant first going to graduate school. Palenik sent a letter about his background and interests to the department chairs of around 30 graduate programs, hoping to find a good match. His letter to the University of Michigan was a last-minute addition; he sent it because of the university’s strong reputation as a research institution. But he didn’t consider the school a serious contender, as he longed to escape the harsh Midwestern winters. Most of the programs Palenik had written to responded with little interest. But his letter to the University of Michigan was forwarded to Professor Rodney Ewing, who wrote Palenik a long response encouraging him to come to U-M. 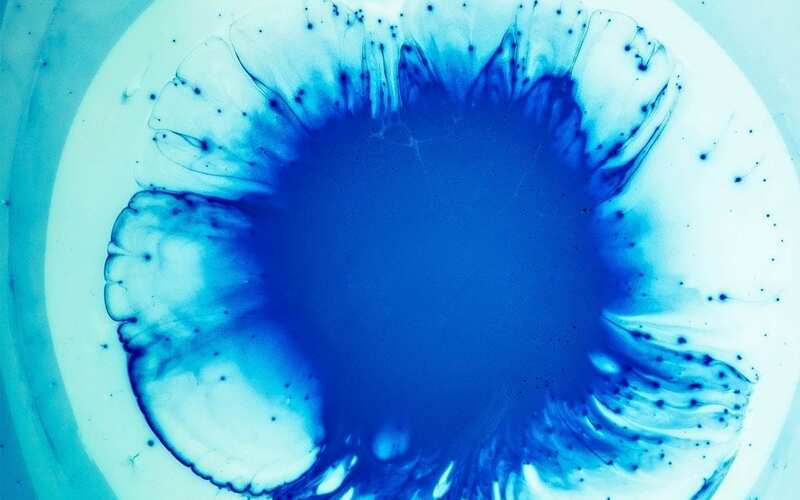 Being a forensic scientist, you are often perceived to cut corners in the eyes of research scientists. My background at the University of Michigan has allowed me to bridge that gap. Professor Ewing became Palenik’s advisor. Palenik’s dissertation, on the world’s only naturally occurring nuclear reactor, earned him the Proquest Distinguished Dissertation Award, which recognizes outstanding dissertations by Rackham Graduate School Ph.D. candidates. “I was incredibly fortunate to find someone as flexible and scientifically rigorous,” Palenik said of his advisor. Following his time at U-M, Palenik completed internships at the German Federal Police Crime Laboratory and the Internal Revenue Service National Forensic Laboratory, as well as a post-doctoral fellowship at the Federal Bureau of Investigation. He then went to work with his father at their company, Microtrace. The company, based in Elgin, Illinois, uses a combination of microscopy and microanalysis to help solve cases for clients, who often include prosecution and defense teams in criminal cases. Work completed by Mircrotrace was instrumental to a number of high-profile criminal cases, including that of Gary Leon Ridgway, known as the Green River Killer, and the case known as the Atlanta Child Murders. Recently, Palenik worked on a project related to the highly publicized Steven Avery murder case, which was made famous by the Netflix series Making a Murderer.